Who can open a Great Commission Fund? How much do I need to open a Great Commission Fund? You can start a GCF with as little as $5,000 cash, stock or other appreciated assets. Can my Great Commission Fund account be named after someone other than me? Yes. You can name your GCF to best suit the legacy you are establishing. How quickly can a Great Commission Fund be established? At the Cru Foundation, we can establish your GCF as soon as the application is received. We will then give you online access to your GCF to allow you to contribute to the fund and manage your grants (distributions) from the fund. If I establish a Great Commission Fund, does that mean all the grants made from it (distributions) have to be to Cru? No, as long as the requested grant is not in contradiction to the goals, objectives and religious mission of Cru. Can my children be involved with my Great Commission Fund? Yes. You can name them as co-advisors or successor advisors to your GCF. They can assume these roles at 18 years old. Can my Great Commission Fund have multiple successors? Yes. Your GCF can have multiple successors that share responsibilities. How are the assets in my Great Commission Fund invested? For Great Commission Funds greater than $50,000, donors can advise on the selection of one of 4 investment models, but not the particular investment funds within the models. For funds less than $50,000, the investment model is made up of money market instruments only. What types of fees are charged to my Great Commission Fund? Internal fund fees: range from ~.15 to~.18%. These are fees charged by the individual investment funds and exchange traded funds that TCF uses. We choose funds that have very low fees. What happens to my Great Commission Fund if there are no successors? The funds will be distributed to Cru and the GCF closed. The funds are managed by experienced professionals who share Christian values. They oversee all aspects of portfolio design including asset allocation, manager analysis, and liability management. What investment funds does The Cru Foundation use? Please contact us for a current list of funds. What types of assets can I contribute to my Great Commission Fund? Cash, stock, real estate, and other assets. At what point is a contribution considered a charitable donation? A contribution becomes a donation when the asset is out of the donor’s control. This is determined by the type of asset you contribute, as well as when and how it is transferred to your GCF. Can I contribute assets from my IRA to my Great Commission Fund? While the IRS doesn’t allow you to use a Qualified Charitable Distribution from your IRA, you can still use IRA funds to establish your GCF. Take the distribution from your IRA as you normally would, then contribute it to your GCF. The contribution to your GCF is tax-deductible so it offsets any income tax incurred by the IRA distribution. Please consult your tax professional to make sure your individual situation applies. What is the best type of asset I can contribute to my Great Commission Fund? The most cost-effective contributions are appreciated securities that you have owned for more than one year. This allows you to bypass capital gains tax on the securities as well as save on income taxes. Can my friends and family contribute to my GCF? Yes. Anyone can contribute to your fund and receive a tax-deductible receipt for the donation. You can establish a GCF with as little as $5,000. Once your GCF is established, you can make subsequent contributions of $500 or more. Are additional contributions to my Great Commission Fund tax-deductible? Yes. All contributions to your GCF are tax-deductible. How often can I make contributions to my Great Commission Fund? You may contribute to your GCF as often as you like. Many donors like to maintain their balance and will replenish right after they recommend a grant. Others prefer to build their account by making regular contributions to allow for larger-scale future grants. Will I get a receipt for my contributions to my Great Commission Fund? Yes. The Cru Foundation will issue a written confirmation of your contributions into your GCF. This confirmation will serve as a receipt for your taxes. With a GCF, you can immediately deduct the full amount of your contribution. Because you take a tax deduction for the initial contribution, grants you recommend from your GCF do not qualify for a tax deduction. Will I be able to access my statements online? Yes. Your statement with all transactions will be available through online access. You can contribute via credit card through your online account. If you contribute, the credit card fees will come out of the balance of your GCF, however, your tax-deductible receipt will be for the full amount of the contribution. Can I move my donor advised fund at another institution to The Cru Foundation? Yes! Please contact us today to learn more! Can the income accrued in my Great Commission Fund be deducted as an additional charitable donation? No. Only contributions to The Cru Foundation are tax-deductible. Growth inside your GCF is not eligible for additional deduction. Does my tax deduction depend on the type of asset I contribute? Yes. Your charitable deduction for cash is the amount of the contribution. For stock, your charitable deduction is the fair market value of those assets donated, determined by an average of the high and low price on the date you contribute them. The IRS rules for deductibility can be complex. Please consult your tax professional about your situation. Why is the net amount in my Great Commission Fund different from the amount of my charitable deduction? If you funded your GCF with a credit card, the credit card company charges The Cru Foundation a fee which will reduce the amount of your GCF. However, your charitable deduction will be for the full amount prior to the credit card fee being taken out. If you funded your GCF with stock or other appreciated assets, you receive your charitable deduction based on the average of the high and low on the date you contribute them. It is our policy to sell any securities within 3 business days of receiving them. From the time you contribute to the time we liquidate, market prices can fluctuate causing a higher or lower amount to be in your GCF. While money in a GCF is conservatively invested and managed with prudence according to industry standards, the value of a fund can go down due to market performance. While risk can be managed, there is no way to eliminate the risk of investment loss. Do I file my contribution receipt with my taxes at the end of the year? For non-cash gifts over $500, you will receive IRS Form 8283 to file with your tax statement at the end of the year. It is extremely important to review the information on this form since it is your responsibility to submit correct information to the IRS. How are capital gains treated for gifts of appreciated securities? Since The Cru Foundation is a 501(c)(3) non-profit, we do not pay capital gains tax when we sell gifted securities. Therefore, you owe no capital gains tax on securities you contribute to your Great Commission Fund. Are there any types of grants that The Cru Foundation cannot make? Yes. We cannot make grants to organizations whose beliefs or activities conflict with the goals, objectives, statement of faith, or religious mission of Cru. We cannot make grants to private foundations or to individuals. Grants cannot be made to political candidates or parties. They cannot be used for any personal benefit such as tuition, dues, membership fees or for any goods/services purchased at a charitable auction. Grants can be recommended through your online account 24/7. Can I recommend a grant from my Great Commission Fund to attend a charity event? No. Funds cannot be granted to sponsor a table or for event tickets. When you make your initial contribution to your GCF, your contribution is 100% tax-deductible. That is because you do not receive any goods/services in exchange for that contribution. Charitable events and galas provide their attendees with benefits that aren’t tax deductible, such as food, drinks and door prizes. Can I recommend a grant from my Great Commission Fund to any charity or non-profit organization? Yes. 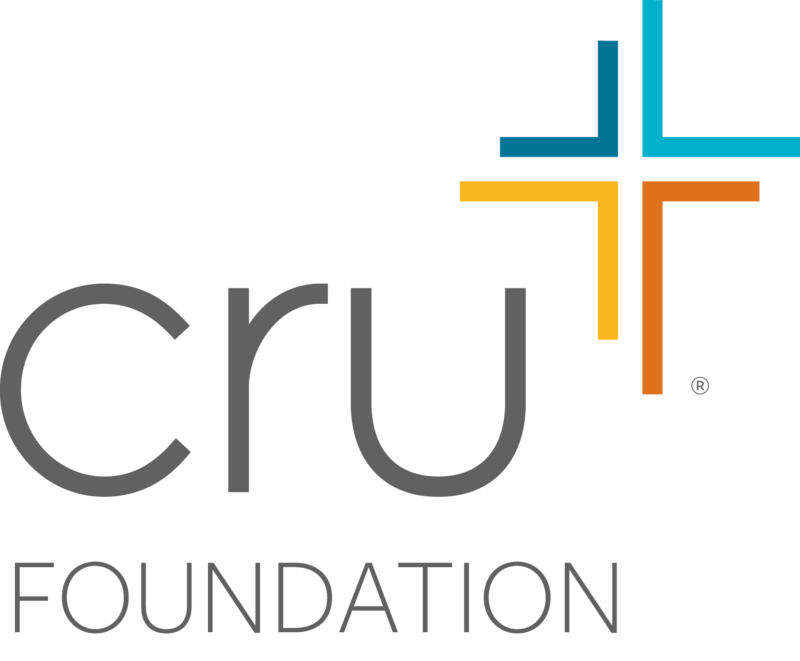 The Cru Foundation can make grants to charitable organizations that are tax-exempt under Internal Revenue Code Section 501(c)(3) and public charities under IRS Section 509(a) if they are not in contradiction with the goals, objectives and religious mission of Cru. Can I make an anonymous grant from my Great Commission Fund? Yes. Any individual grant can be given out anonymously, credited to the GCF itself or credited to you as the donor. You may also recommend a grant in someone’s honor or memory. How many grants can I recommend each year? There is no limit to the number of grants you can recommend each year. What is the minimum amount for a grant? The minimum distribution is $500 to organizations outside of Cru. If the distribution is made to a Cru ministry or a Cru staff’s ministry or project, the minimum distribution amount is $100. Is a fee charged for each grant I recommend? How are costs allocated to The Cru Foundation? If any distribution requires unusual amounts of time or expense by TCF to investigate, liquidate and accomplish the distribution, such costs will be allocated to TCF from the Great Commission Fund. If funded with real estate or other non-cash assets, sellers fees, commissions, processing fees, and any out-of-pocket expenses would first be deducted from the fund value. TCF will manage this GCF without charge except as mentioned in the previous sentence regarding real estate and other non-cash gifts. How quickly are my grants processed? Approved distributions will generally be sent out to the organization within two weeks of receipt of the distribution request.